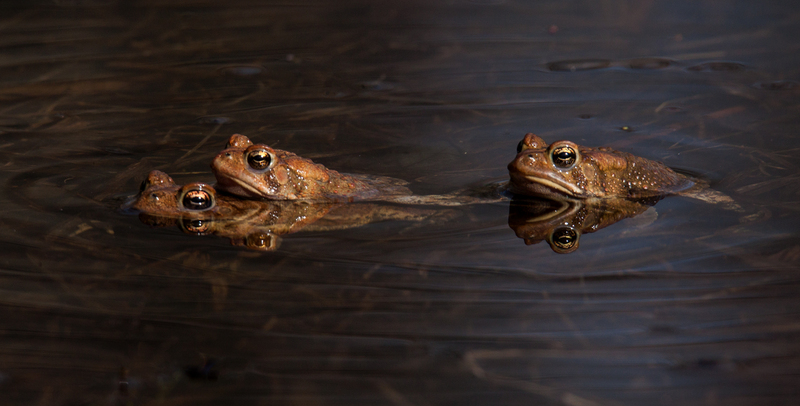 The single American Toad (Anaxyrus americanus) inched closer and closer to the couple, looking like he wanted to cut in. Growing impatent, he decided that the only way to dislodge his rival was to take action. 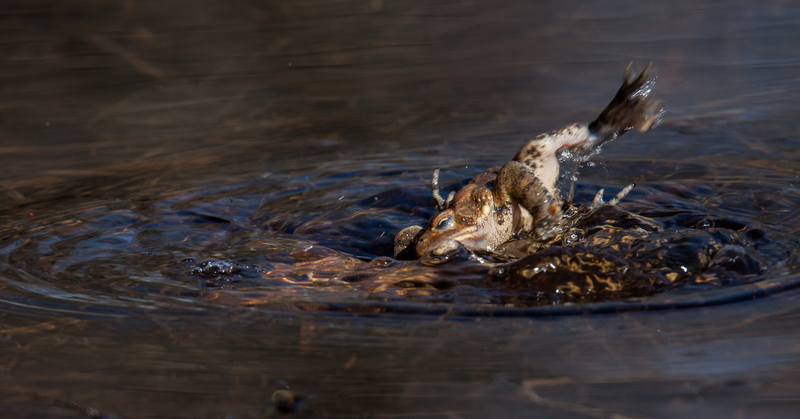 With a big splash, he jumped right onto the other male’s back. Was the maneuver successful? Well, I think he separated the couple, but I couldn’t tell which of the males ended up with the female. 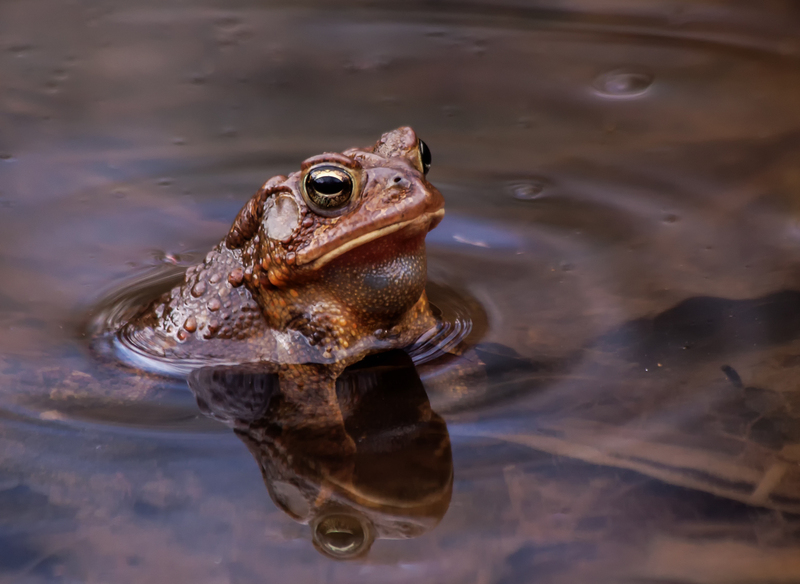 It had been years (and maybe even decades) since I had last seen a toad and somehow I had forgotten that they have lots of warts and bumps, unlike the smooth-skinned frogs that I am used to seeing. 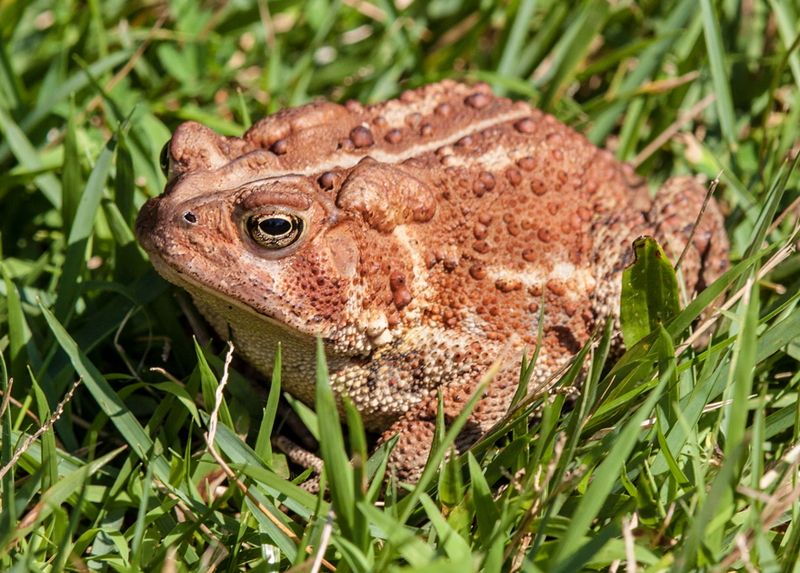 I encountered this brown toad, which I think is an Eastern American Toad (Anaxyrus americanus americanus), at a garden in Maryland. 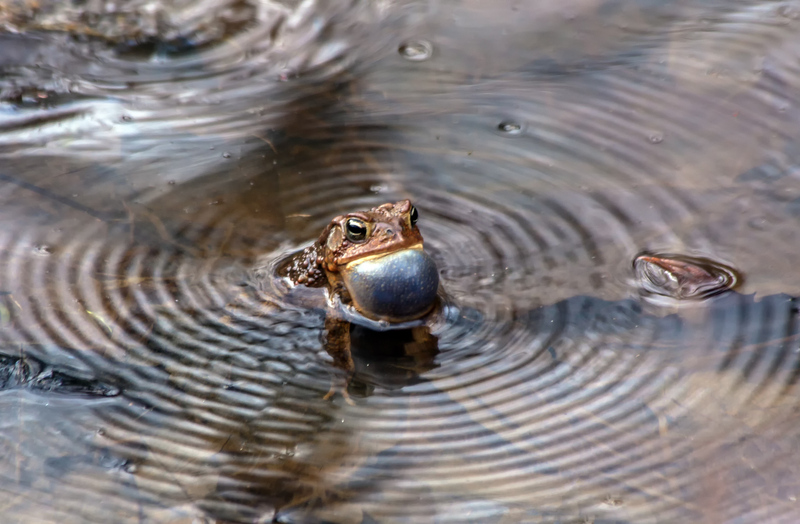 According to Maryland’s Department of Natural Resources, there are only two types of true toads in the state, so my changes of being correct are pretty good. 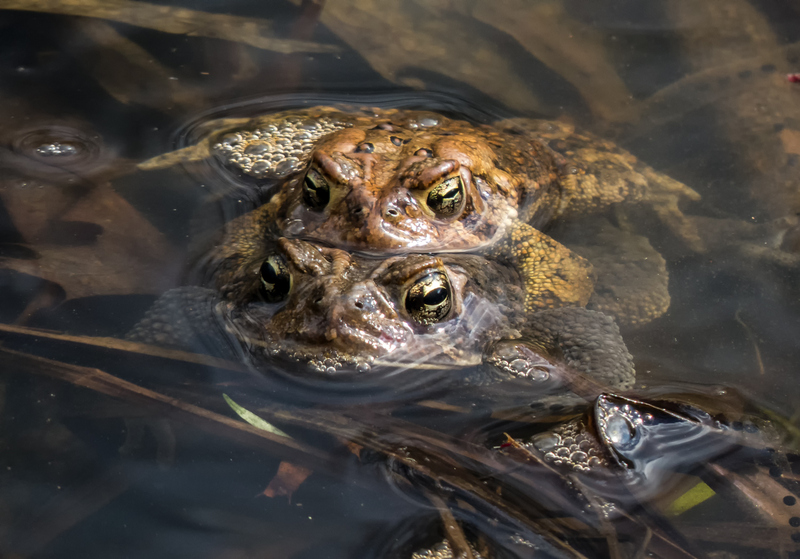 The other toad is a Fowler’s Toad. 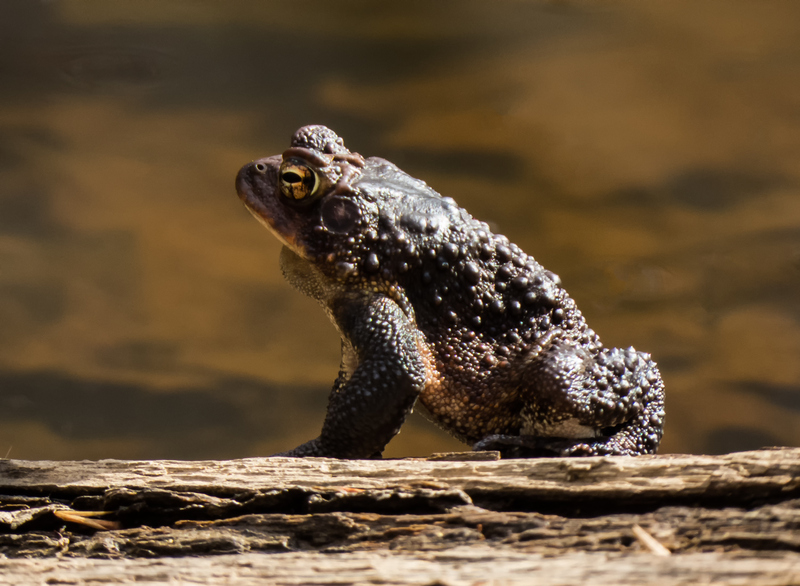 Apparently, you can distinguish between the two types by the number of warts per dark spot on their backs. Maybe you can tell them apart—I wouldn’t even know where to start counting.